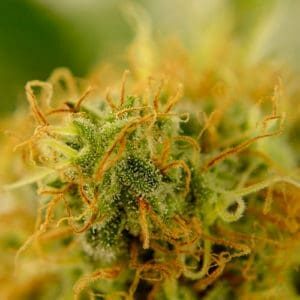 Every marijuana grower, including those that seriously consider growing marijuana, knows that the buds of the plant are the gem they’re looking to obtain. 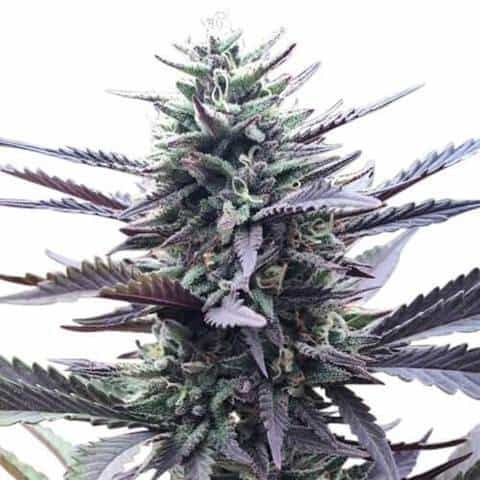 The reason you started growing marijuana is to take the best care of the plant so that it will start producing gorgeous buds, which you can later on use for extracting the resin or crystals needed for your recreational substances. So how to make marijuana plants grow large buds and increase your marijuana yield? With a bit of care and research, you will be able to obtain better performances from your plants, but be prepared to have some patience and invest some effort into the process. 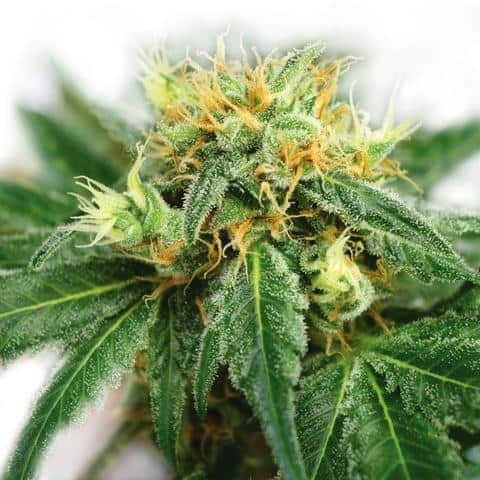 To get a bud you will have to grow a plant from the stage of a seed, waiting for it to fully mature and flower, the production of the potent bud being the last stage of a plant’s development, the coronation of your efforts. So, it is normal to want to obtain huge buds, because that means a high THC level you will enjoy. The following tips will help you get there easier, so make sure you go through all the steps presented below. 1 What are Marijuana Buds exactly? 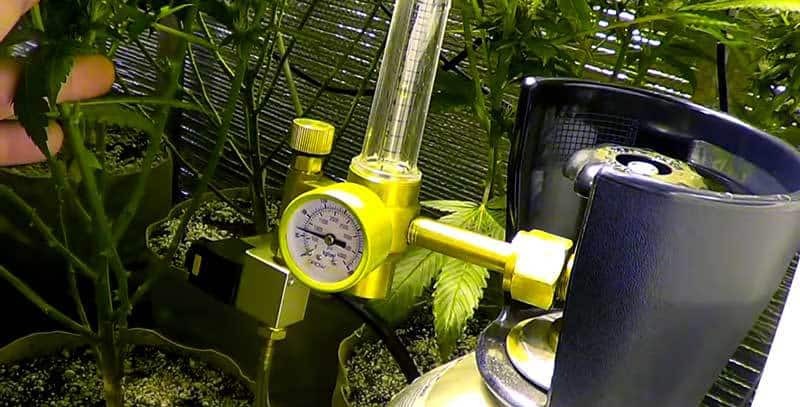 10 What is the best pH level when growing marijuana? 14 Light is important as well, but how much of it? 17 How much CO2 to give your plants? 18 How productive will it become? What are Marijuana Buds exactly? This is a question that you must know how to answer before starting any work on growing marijuana. The bud is that part of the marijuana plant that grows during its flowering process, on its tips. So it won’t appear right from the start, becoming visible only when the plant is completely mature and starts to flower. 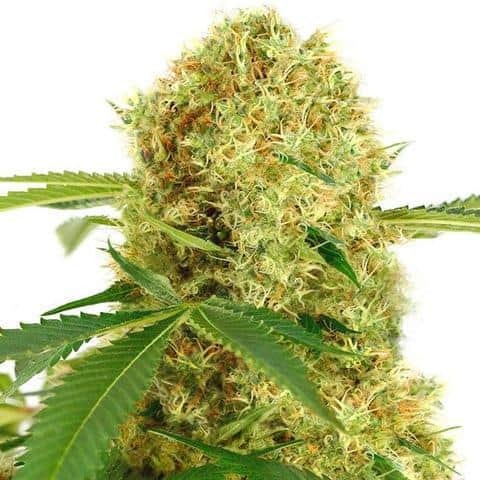 It is true that marijuana leaves also contain a certain amount of THC, so you can use them as well, but it is the plant’s buds which are filled with this substance, making them the most sought after reward any marijuana grower is looking to enjoy. You should also know that there are marijuana plants of different genders, male and female plants, which also trigger some differences when it comes to buds, differences you should be fully aware of because they are significant. Besides the obvious difference in the way female and male buds look, there is also a difference when it comes to their THC level. Many people think that only female buds can be smoked, but the truth is that male buds can also be used for recreational purposes without a problem. While the female buds contain the highest amount of THC, being most potent and therefore more appreciated, male buds can also give you a good buzz if you choose to smoke them as well. If you grow both female and male plants, it is recommended to keep them separate because if the pollen in the male buds ends up pollinating your female buds, the plants will begin focusing on making seeds rather than producing THC. Of course, if you want to produce your next generation of marijuana plants, you should allow some male plants to pollinate a number of female plants, depending on the number of seeds you wish to produce for your future marijuana culture. Also, you should know that male buds appear faster on the plants than female buds, as they tend to start growing two weeks later. You will see the popping out at the base of every branch, where the branch starts to grow from the plant’s stem, and at the tip of the plant. They will have a whitish color, be relatively rounded, and have a hairy appearance. So, how to make sure these buds grow large and become as potent as possible? The answer is to make them grow fast. 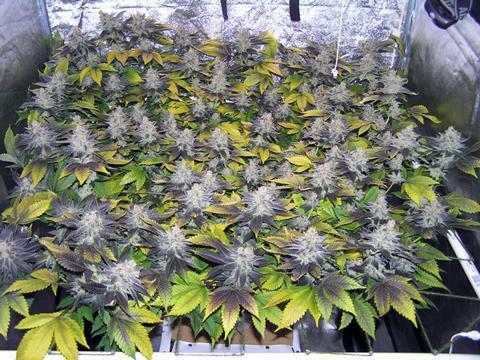 When the buds grow faster, even if their growth period is the same, they will have more time to get larger. 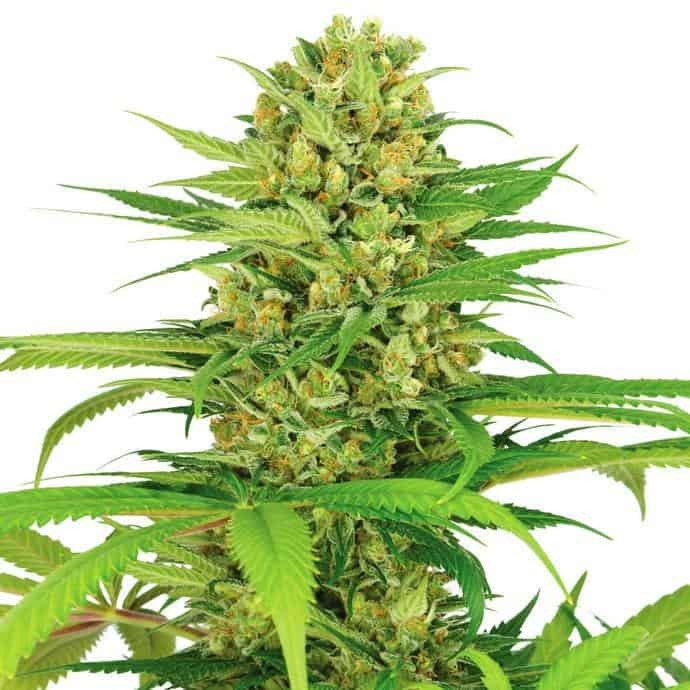 As mentioned before, you need to take good care of the plant once it enters the flowering stage, if you want to make the buds grow faster and obtain bigger buds. The first thing you can do is to remove all the yellow, dying leaves of the plant. A leave that started to get yellow will never be recovered because it entered an irreversible dying state. These leaves only end up consuming the plant’s resources without doing any good, so removing them as soon as they start yellowing will mean more useful resources for your plant to invest in its buds. So, check your plants periodically and remove these leaves, helping the plants use their resources better. Also, don’t throw these leaves away, because they still contain a decent amount of THC. You can make marijuana brownies or butter out of them, for those days when you are low on weed and wait for the big harvest. You need to feed your plants adequately if you’re looking to obtain large buds. A plant that does not have all the resources it needs is not going to grow right and the buds won’t be that spectacular. The moment you see buds emerging on your plants, it is time to give them a little treat. Phosphorous is what the buds appreciate the most, so you should provide them a mixture that contains 30% phosphorous, 10% potassium, and 10% nitrogen. And right toward the last stage of their development, when they are almost ready, you can add extra potassium to the mixture. If you want to do things easier, you can look for plant fertilizers that have the right nutrient mixture and use it as is on your plants, following the recommendations of the manufacturer. What most beginners in the marijuana growing domain don’t know is that fertilizers don’t work properly without the right pH in the soil. It doesn’t matter what kind of growing support you use for your plants, soil or anything else because the pH will play a crucial role in how well the roots of your plants will absorb the nutrients you provide. If the pH value is not the adequate one, your plants will either absorb too little nutrients or they will get too many nutrients, reaching a level of toxicity, both cases creating problems in the development of your plants. Maintaining an adequate pH is the key to growing extra-large buds while having the wrong pH in the growing support can practically destroy your entire yield. As mentioned before, phosphorus, potassium, and nitrogen are the main nutrients needed by marijuana plants to grow successful and produce great buds. During the plant’s growth or their vegetative stage, marijuana plants use a lot of nitrogen. During their first weeks of the flowering period, they need more phosphorus, while toward the end of their flowering and maturing stage of the buds, a more generous portion of potassium. Of course, this doesn’t mean that other nutrients are not important. Magnesium, zinc, calcium, and iron are also highly important in the growth and flowering of the plants, so they should not be disregarded. Each of the nutrients required by the plant has a different behavior according to the pH level of the soil. In other words, the pH will dictate whether the nutrient will contribute to the well-being of the plant, whether it will simply dissolve and do nothing to the plant, or whether it will turn into a toxic substance. To understand this part better, just think about the reaction of chemicals when the temperature changes. 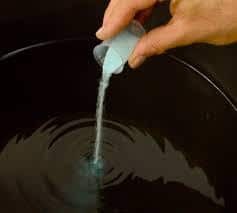 For instance, water contains calcium, which cannot be seen if the water is cold because the calcium is completely dissolved at this temperature. But if you take the same water and bring it to a boil, you will see the calcium precipitating, which means that calcium crystals will be formed and make this nutrient visible. So, if the soil is too acidic, the roots of the marijuana plants won’t be able to properly absorb some of the nutrients you provide. When the ph’s level is lower than it should be, for example, the plant won’t be able to take magnesium from the soil right, so the plant will suffer a deficiency of this nutrient. In this case, it doesn’t matter that you supplement your plant’s fertilizer with magnesium because they will still show signs of magnesium deficiency due to the inadequate levels of the pH. 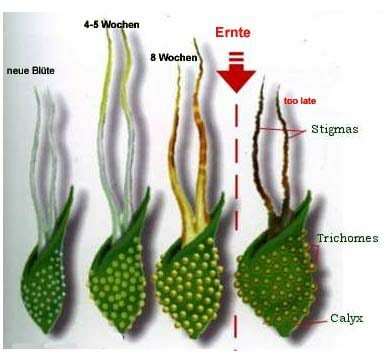 And when such a deficiency occurs, you will be able to see signs that something is wrong with the plants. When the plant cannot take enough magnesium, its leaves will turn yellow, even white in some cases, while maintaining the leave’s veins green. If the pH level is causing the problem, before giving the plants magnesium supplements, you should correct the value of the pH, in this case raising it until the plants manage to take magnesium from the soil at proper rates. What is the best pH level when growing marijuana? If you are using regular potting soil, the ideal pH, in this case, is 6. In case you consider that growing your marijuana plants in Rockwool or with the help of hydroponics, the pH should have a value of 5.5. 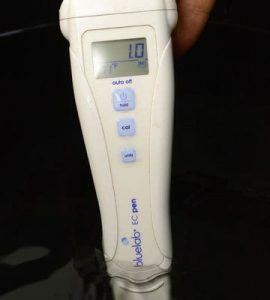 There are special devices that will help you measure the pH and, by using proper substances, you will be able to regulate the pH’s values and reach the ideal level. You probably understood the need for nutrients, water, temperature, and pH when growing marijuana plants, but how about electric conductivity? While electric conductivity sounds rather fancy, it actually shows the status of the salt content in the plant’s growing support. The salt content will let you know how many nutrients are in the soil where the plants are growing or in the water you use for the plants. 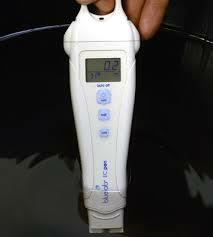 If the electric conductivity in water indicates 0, it means that the water is purified and does not contain any kind of minerals and salts. Also, the pH level of purified water should be 7. If we are to take the tap water found in the United States, the electric conductivity of this water ranges between 0.2 and 0.5. These values indicate that tap water is not nourishing enough for your marijuana plants, so you will need to add more nutrients to it before serving it to the plants. How many nutrients to add to reach an adequate salt content level? The ideal level for electric conductivity is 1.0. So you will need to add nutrients to the water until this level is reached. Of course, electric conductivity levels that are too high are not good for the plants either. In this case, salts and nutrients will begin building up in the soil, triggering the pH value of the soil or growing support to drop, making the roots of the plants stop absorbing nutrients as they should. Light is important as well, but how much of it? Plants love light and marijuana plants are no different. If you want to increase the growth rate of your marijuana buds, you should provide more light to your plants. With the help of light, the marijuana plant absorbs carbon dioxide and turns it into sugars, which are very useful for the development of the plant. What you should know about marijuana is that this plant loves light. The plants that don’t enjoy sufficient light will grow slowly or they may stretch, turning into thin and long plants in their attempt to get more light, but they will never be able to produce the huge buds you’re looking to get. A plant that grew uneven due to improper exposure to light will be hard to restore. 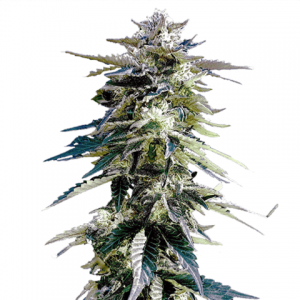 Even in the case of buds, it would be recommended for them to be under a direct light so that they grow at a good rate and have the change to reach considerable sizes. In case you opted to grow marijuana indoors, try to bring the light sources as close as possible to the plants, just be careful with the temperature around them not to exceed 80 degrees Fahrenheit because that will be too hot for them. Managing to provide sufficient light to your marijuana culture will definitely allow you to enjoy a bigger yield. For growing marijuana indoor, HPS lamps are the best you can get. You should consider 400 watts of light for every 13 sq. ft. of space where the plants grow, during their vegetative state. When they start flowering, you should provide 600 watts of light over the same surface because this is the period when they need the biggest amount of light to produce the resources needed to grow the buds. When it comes to lamps, you can use fluorescent lighting, as it is not that expensive, and can help you obtain good results. Ever since we are in school we learn that plants need carbon dioxide to grow. This particular gas is for the plants what food is for us. In other words, your marijuana plants cannot live and grow without carbon dioxide. Also, if this gas is insufficient, the plants will be underdeveloped and will certainly not come up with the large buds you’re hoping to get. The plants need carbon dioxide not just to grow, but also to flower, so you need to make sure they get plenty of it. Also, it is worth noting that if you increase the intake of CO2, you should also provide more light for the plants, because the CO2 enhances their ability to use light, promoting a fast growth and getting large buds. How much CO2 to give your plants? The air where they grow should have anywhere between 350 and 400 ppm of carbon dioxide in its composition. With the help of light, the plant will turn CO2 into the much-needed sugars, which support the plant’s growth and flowering. Bear in mind that of the quantity of CO2 from the air starts to decline, the plant will also begin to produce fewer sugars and that can affect their development. To avoid this, you need to make sure that fresh CO2 get to the plants by using a ventilation system. Also, by just increasing the intensity of light and not increasing the amount of CO2 will not do any good. But if you increase both the CO2 levels and the intensity of the light, then your marijuana culture will certainly be more productive. How productive will it become? Do expect to obtain double than usual by simply adjusting these two factors. Many people don’t get this far because it can get quite expensive, due to the equipment needed in order to provide sufficient CO2 and light. But, when you see the production you can obtain by doing so and getting huge buds that mean more THC, you’ll probably consider your investment and effort worth all this trouble. Still, it will be quite challenging to maintain these conditions, so there’s a tip for maximizing your plant’s growth with minimum effort. In case you do want to introduce more CO2 into the area where the plants grow, do everything you can to seal it. While the plants will feel spoiled in such an atmosphere, CO2 levels that are elevated can be very dangerous for humans, so you’ll need to stay away while the plants consume it. 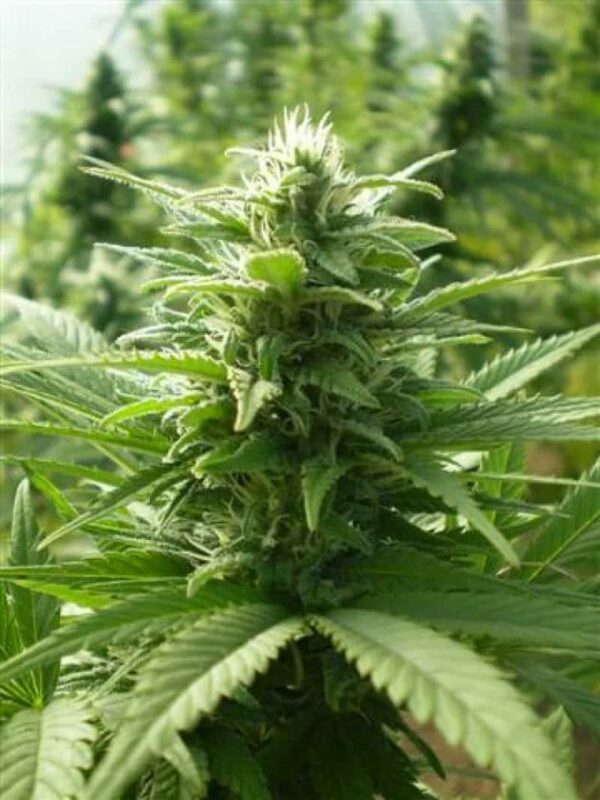 The buds developed by your marijuana plants are also closely related to the levels of humidity and temperature in the surrounding environment. While a warm atmosphere is recommended, air that is too hot will produce buds that are not that potent. You should know that the plant’s temperature requirements change, according to their development stages. Thus, in the case of seedlings and cuttings temperatures between 68 degrees F and 77 degrees F (20 degrees C and 25 degrees C) are best. As plants grow and mature, managing to evaporate better, the temperature can be increased. The air temperature that should be around your marijuana plants should not exceed 82 degrees F (28 degrees C). So, when adjusting the light, increasing its intensity, make sure to monitor how the temperature is changing as well because brighter lamps will produce more heat and that can change the overall air temperature in the area where your plants grow. Of course, the lights should not be on 24/7, because the plants do need their night and day cycle to develop well. So, when the lights are off, the ideal temperature is somewhere between 59 degrees F and 72 degrees F (15 degrees C and 22 degrees C). Also, you should remember to keep the differences between night and day within an acceptable range. This means that there shouldn’t be a difference bigger than 50 degrees F (10 degrees C) between the temperatures your plants experience during the day and the ones they have during the night. A difference that is around 40 degrees F (5 degrees C) is the best case scenario. Concerning the humidity factor, the highest humidity levels should be during the first two weeks of vegetative state, when the plants are just seedling or cuttings because their roots are not yet well developed and they could use the humidity found in the air. So make sure the humidity is high during this period, the ideal level being of 70%. 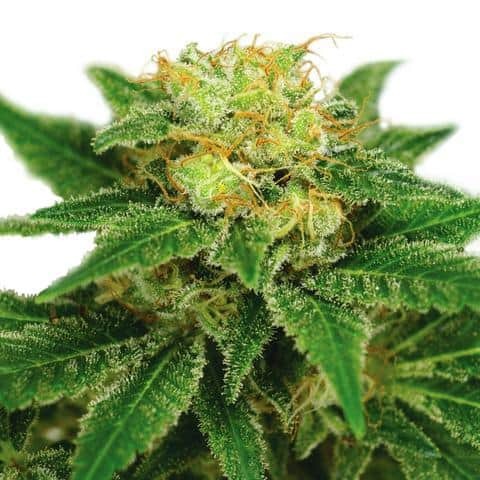 Also, high humidity should be using when the plants start flowering, maintaining to 65% during the first week of flowering, then slightly decreasing it until reaching 40% in the 9th week of flowering. If you give your best to keep temperature and humidity under control, you will not just be able to obtain larger and more potent buds, but also buds with an incredible flavor. Many types of plants are pruned so that they become more productive. It is enough to take the example of tomatoes. Farmers are constantly removing useless shoots, which do nothing than consuming the plant’s resources, so that the plant focuses on a faster and better production of tomatoes. Just like in the case of tomatoes, shoots will appear between the branch and main stem. If you remove these shoots, which will make the plant look thicker and have more leaves but will affect the size and quality of the buds, you will be able to enjoy huge buds with a great amount of THC during the harvesting season. You see, when these shoots are removed, the plant will invest all of its resources in its top part, where the buds develop. So, besides large buds, you will also see the leave on the top becoming thicker and larger as well. Plus there is the advantage that all plants will get the same amount of light because their leaves will be positioned at the same height. But, the best time to prune your marijuana plants is during their vegetative state, because they do need a certain amount of time to heal before entering their flowering stage. So, after pruning you should wait 3 days or even more before you push your plants to start flowering. Before moving to this particular level, look for signs that your plants began growing again and that their evaporation process is restored. Also, lower the dosage of fertilizers during their recovery period. Just give them a couple of days without bothering them, allowing them to restore all their functions to normal. The Screen of Green method, also known as SCROG, will still involve the pruning of your plants. You should position a screen at 50 cm over your plants, a screen through which the plant’s stems can go through. Once the plants grew sufficiently and measure 10 cm above the screen you created, you should cut the top of every plant and allow the plant to grow new tops. When the new tops are also 10 cm above the screen, you should take the top of each plant and gently bend it toward the screen, connecting it to the screen. Pruning comes into the scene when the first shoots start emerging through the screen. After pruning, allow the plants to recover for a few days before persuading them to enter their flowering stage. 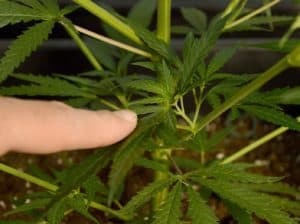 Your marijuana plants will keep growing during the first two weeks of flowering, so don’t panic if you notice that your plant is slightly taller. The SCROG method combined with the benefits of pruning can help you produce one gram of marijuana for every watt of light used. Thus, for every 600 watt light bulb, you will be able to enjoy 600 grams of marijuana. But, once again, do not forget about the importance of temperature, humidity, and other factors. Once your plants start producing the buds, you will constantly wonder when is the best time to harvest them, so you can get the most THC content possible. If you get them too soon, the THC content will be low and you won’t get the right level of satisfaction from your buds. If you let them stay for too long, the resin in the buds will start decomposing and will turn into a narcotic substance with a flavor that is too heavy and not that pleasant. So, harvesting the buds when the time is right means enjoying the outstanding flavor they are capable of providing and the right effect you want to get from the THC-rich resin. 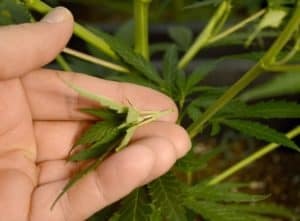 The buds continue to grow significantly even in their last three or two weeks, so harvesting them too soon means getting buds that are 25% smaller than they could have been if harvested at the right moment. 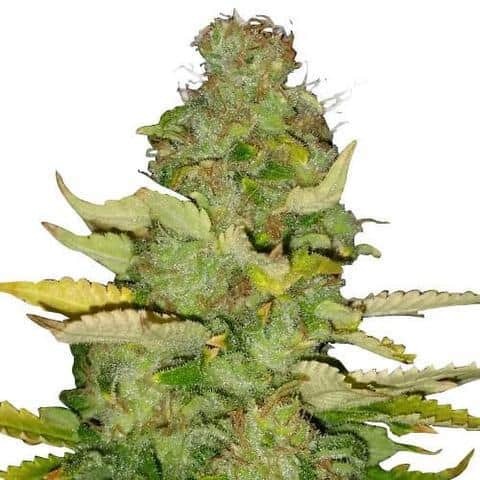 Don’t worry because the harvesting period for marijuana buds lasts two to three weeks, so you will have sufficient time to harvest all the buds in a timely manner. But, harvesting them too soon will mean obtaining a smaller yield and buds that are not as potent as you may have wished. Just remember that choosing when to harvest also impacts the weight, taste, and smell of your buds, besides the THC quantity. How to tell when the buds are ready to be harvested? 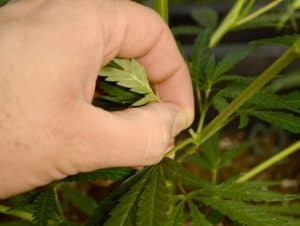 You need to keep a close eye on the bud’s pistils to see if they reached their maximum development stage and at the same time the biggest quantity of resin. If only half or less of a bud’s pistils have an amber-brown color, the buds are not yet ready to be harvested. If the pistils are amber-brown in a proportion of 50 to 70%, they might be able to be harvested, but it is still a bit too early, their taste being lighter at this point and so will be the high effect they provide. 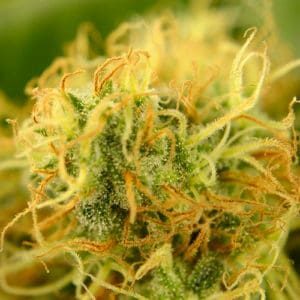 When the pistils are amber-brown in a proportion of 70 to 90%, this is the best time to harvest your buds. 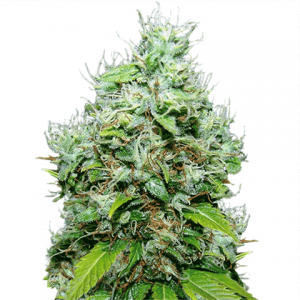 At this point, the buds reached their best weight and can provide the best effect and taste as well. 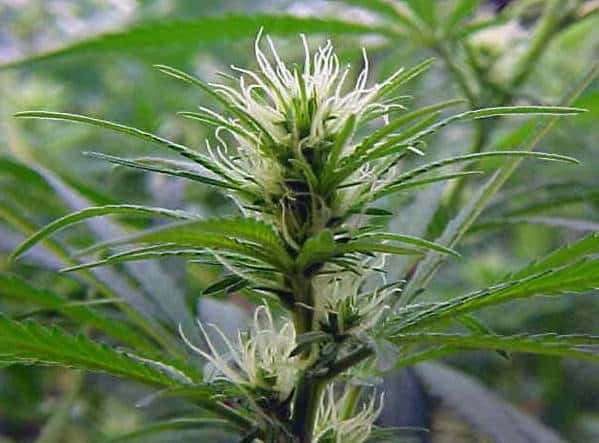 But, try not to be greedy and leave the buds on the plant past this moment, because if the pistils are brown in a proportion of 90 to 100%, it may be a bit late to harvest them. Still, try to salvage them as much as possible in this case, although do expect a narcotic effect and a pregnant taste. Of course, every marijuana grower may choose to harvest the buds a bit earlier or later, according to the high effect is personally preferred. 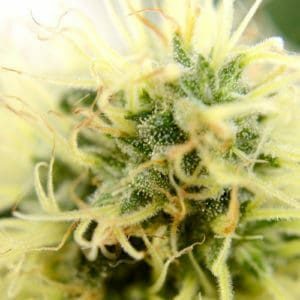 Once you get the hang of this process and discover what your preferences are, it will be easier to determine when to harvest your marijuana buds. But, no matter when you harvest them, following the steps of this guide will help you enjoy large buds that contain a great amount of THC. After all, the main purpose of growing marijuana plants is to enjoy their buds, which can be enhanced and made to provide improved effects with a bit of work, dedication, and investment. If you are determined to obtain high-quality marijuana buds then the effort you are going to deposit during this process will not be in vain.